New Look. Same Awesome Benefits. 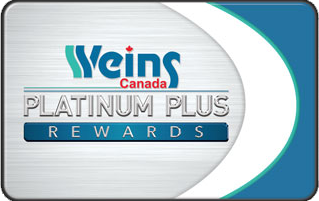 We are proud to announce that your exclusive Platinum Plus Reward benefits are now accepted at all Weins Canada Stores. Don’t worry. Your current Platinum Plus card & key tag will be gladly accepted. Just ask for your card to be updated anytime you are in our service department! It’s that easy. If something unexpected happens to you, like experiencing a disability or a job loss, we can help. You’re protected for your first year whether your vehicle is new or used, leased or financed. The Complimentary Platinum Vehicle Return Privilege allows you to return your vehicle to the dealership and cancel up to $7,500 of your automotive debt.